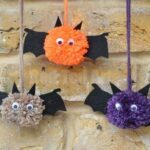 So.. now that the kids have mastered making pom poms, thanks our pom pom maker (affiliate), we are making more and more and more pom poms. 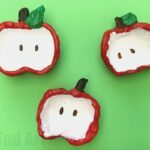 There are rather a lot of pom pom bunnies around our house, as well as pom pom birdies, but today, we are branching out (get it), to Apple Crafts and APPLE POM POMS. 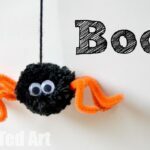 These are super cute and super fun to make. 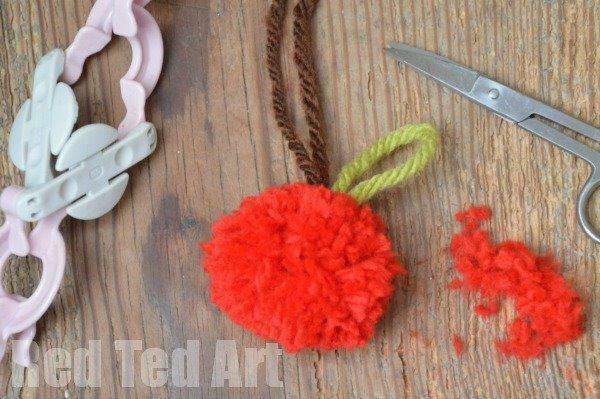 The kids made a whole bunch of Apple Pom Poms for the play kitchen, but I think they also look ADORABLE as Zipper Pulls (a perfect Back to School craft, don’t you think??) 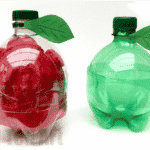 or even as a little Teacher’s Gift??? 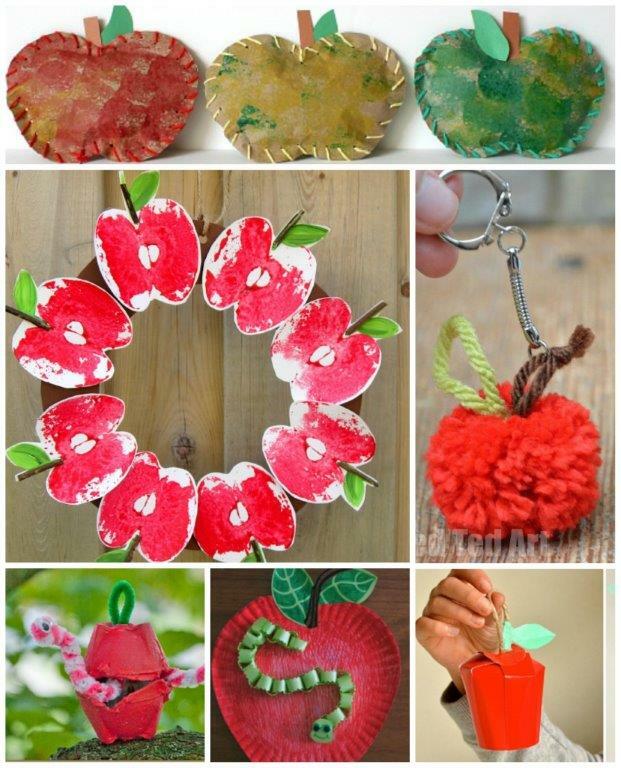 However you end up using your Apple Pom Poms, they are certainly perfect as Autumn Crafts! 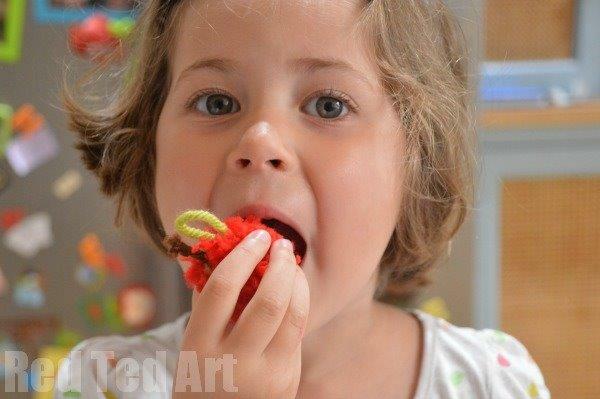 * you can make pom poms using a fork! 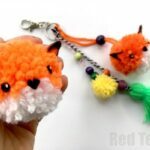 1) Wrap your wool or yarn around your pom pom making device – be it a pom pom maker, some card or a fork (if using a fork, you need to place your brown wool across the fork first, for tying later – see pom poms using a fork for more info). 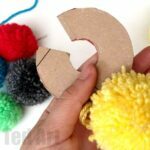 3) Now tie your apple pom pom together using the brown piece of wool. 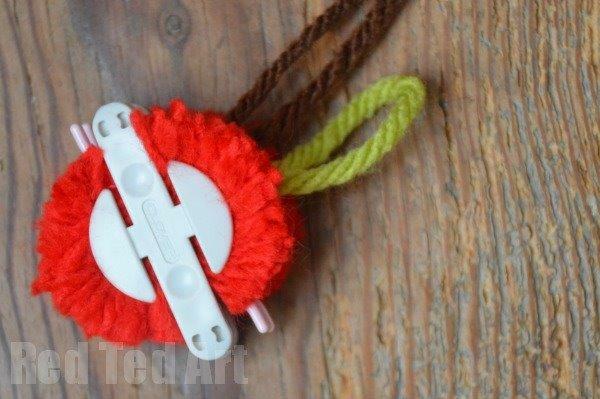 Leave some longish bits for tying later. 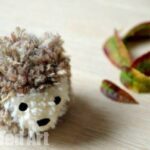 4) Make a look with your green leaf wool and tie it around your pom pom. 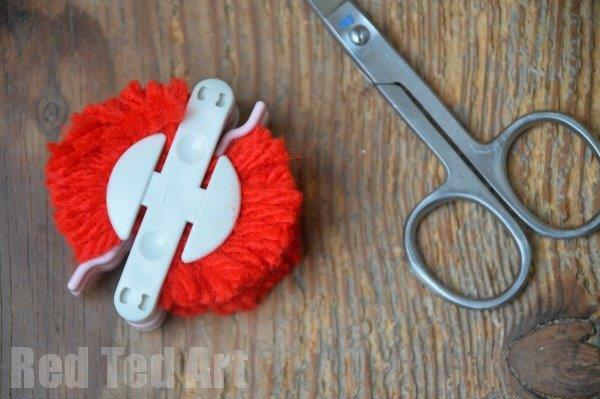 5) Trim the ends of your Apple Pom Pom wrap arounds. 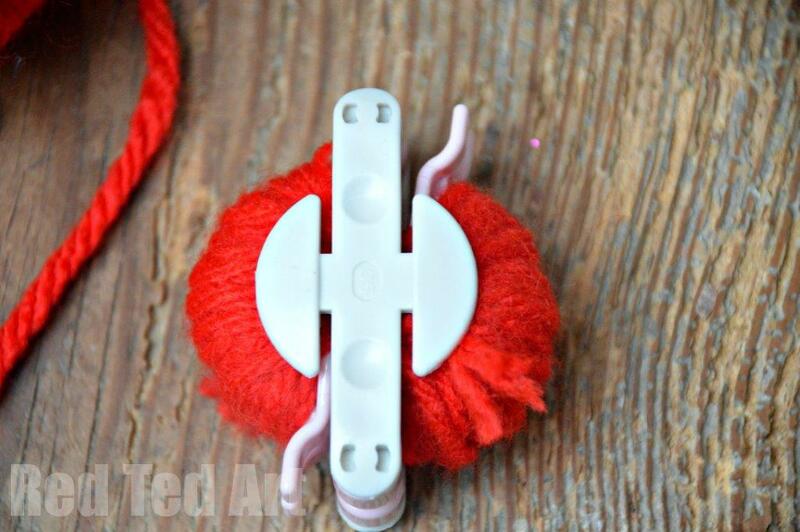 6) Open up your pom pom and trim if necessary. 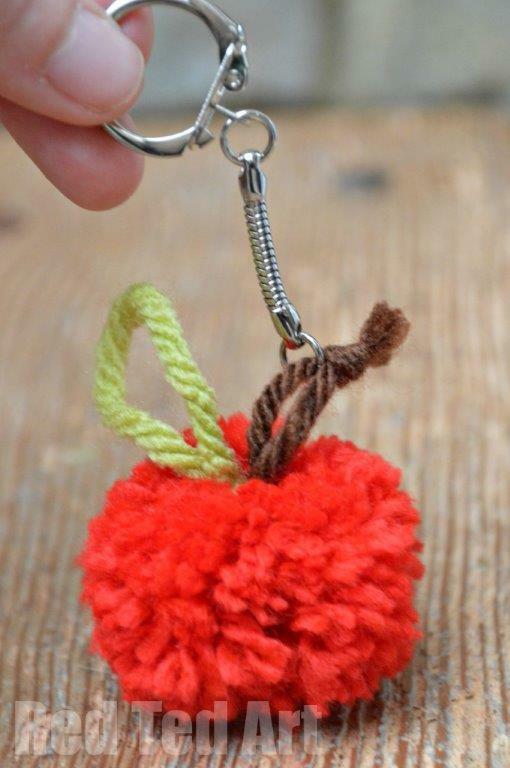 7) Tie your Apple Pom Pom stem to your key ring and make a little knot. 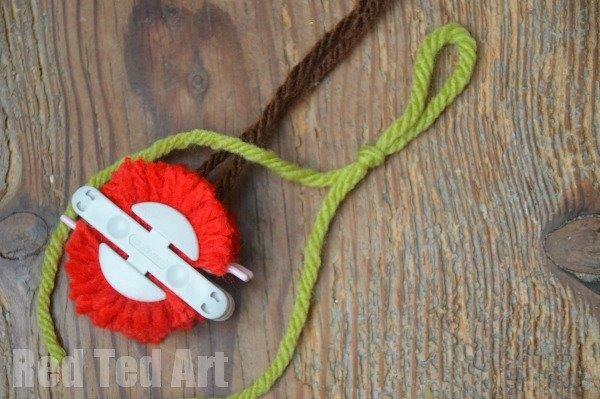 If you are NOT using a key ring, tie a little knot at the top of your brown wool and trim. This gives you a “knobbly bit”, that you often find on apple stems once picked! All finished!! 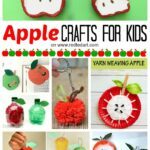 Time for some Apple Craft Pretend Play!! !